Last month we went to Walt Disney World. It was our first big trip anywhere since we had started potty training. I wouldn’t say we’re in the potty training stage any more, but it takes time to feel like it’s smooth sailing. Accidents here and there are normal, but when you’re planning on not always having a bathroom close at hand (18 hour car trip anyone?) it can be a little scary. Nick had used public restrooms before, but we still wanted to be well prepared for our trip. 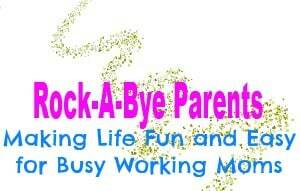 No one wants a vacation to Disney ruined by potty accidents! 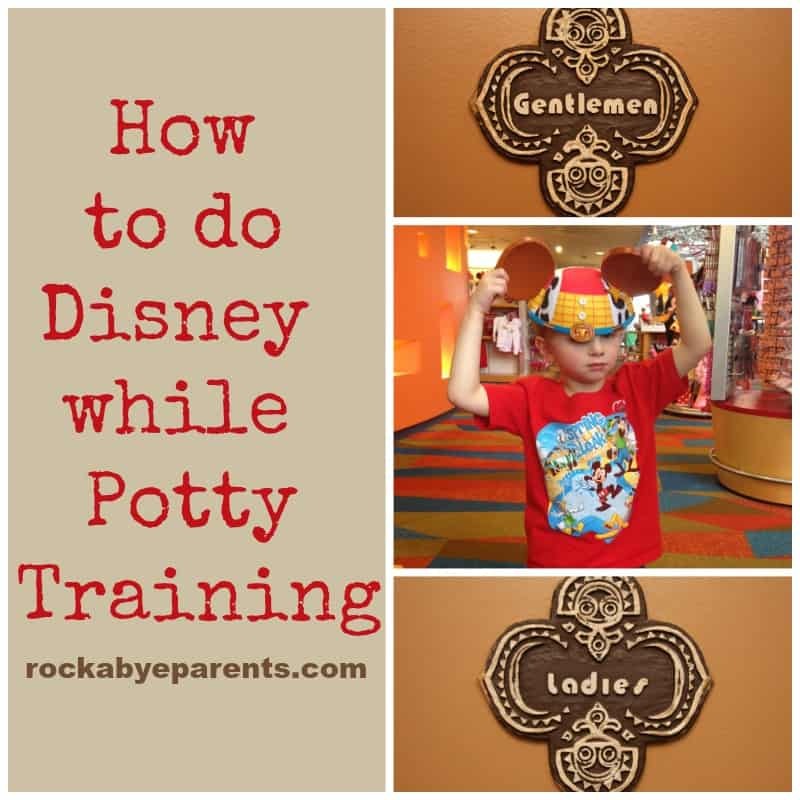 In the end everything went great, and I wanted to share with you our secrets of how to do Disney while potty training. If you have a little one these are tips that need to be added to your Disney Planning Tips list! 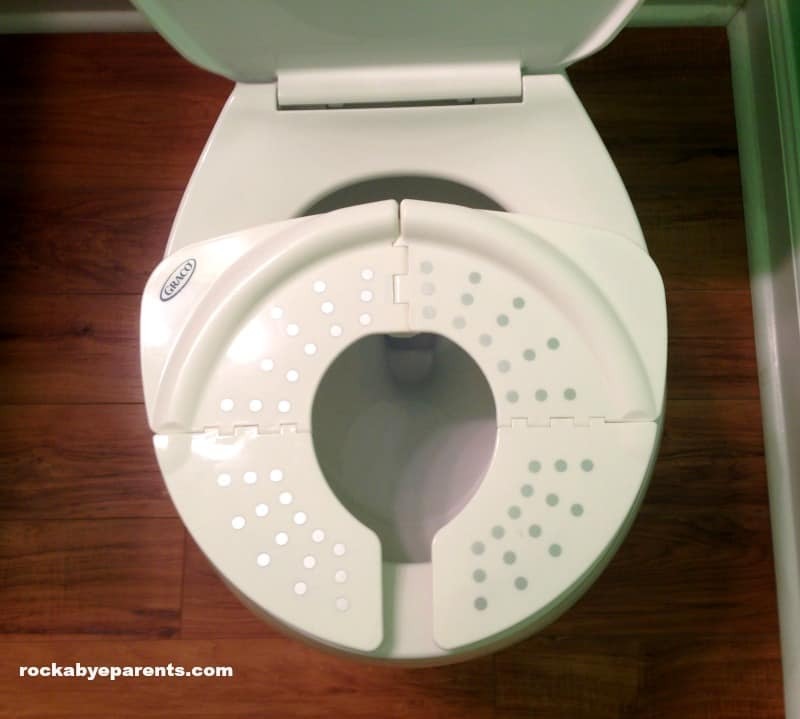 My first tip is to get a portable folding potty seat. Now in the end we didn’t end up needing to use ours, but this can make things a lot easier for your little one. Regular potty seats are big and that’s not easy to get used to if your little one is used to only sitting on a training toilet. Portable toilet seats are lightweight, and they come in a plastic snap bag, so no worries about an icky seat touching other things after it’s been used. While traveling sticky notes will become your child’s best friend. Automatic flush sensors were not designed with kids in mind. As an adult it’s annoying when those sensors go off before you’re ready, but for kids it can be even worse. Get ready for total freak out! Luckily sticky notes can totally fix that situation. 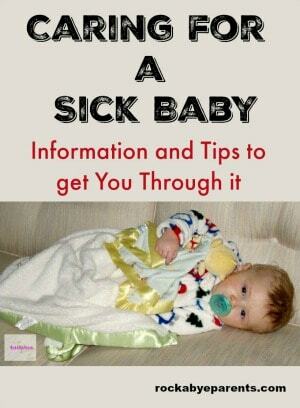 Before your little one sits down place a sticky note over the sensor. The toilet then won’t flush until you take the sticky note off. We have been to Disney many times, including a trip while I was pregnant, so I know where just about every bathroom is at Walt Disney World. Most people don’t have my insider knowledge though, and there is nothing worse than having your little one tell you they need to go potty and you have no clue where to take them! Disney’s My Disney Experience app to the rescue! 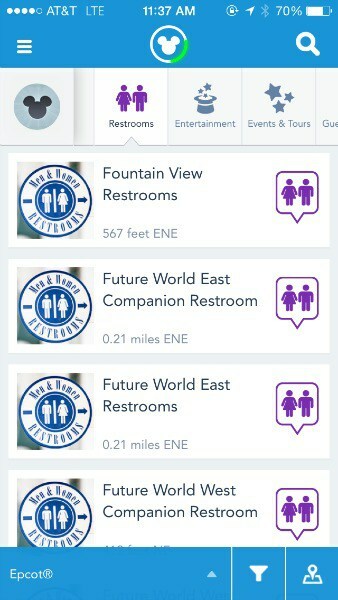 At the top of the app there is a place that says “Restrooms” and it will tell you what the closest restroom to you is based on your location. Yes, there is an app for that! My next tip may not be one that everyone is comfortable with, but I highly recommend using Pull-Ups on your trip. I know a lot of people don’t like to use them because they feel it could cause a regression. Now, I’ll admit that we do use Pull-Ups with Nick, but honestly they gave us such a piece of mind. You don’t want to be standing in an hour long line for a ride and worrying about your child having an accident. We also didn’t feel that we needed to look for a bathroom every 5 minutes if Nick didn’t need to go. We could have made it without them, but it helped us from all being stressed out worrying about accidents for the whole trip. Bonus: Save $2.00 on your next Pull-Ups purchase with this coupon! 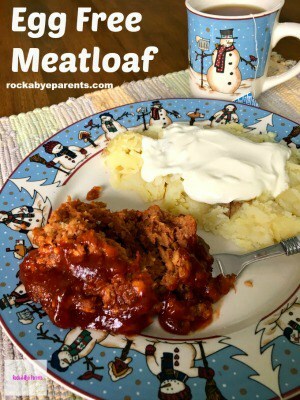 #5 – Realize that Florida can be Hot! My last tip is more of a reminder. Florida is hot, and it likely is going some dehydration in your child. Your child is most likely not going to need to use the bathroom as much anywhere near the amount that they normally do. In fact they may only go a couple of times all day. It’s good to make them try, but if they don’t need to go don’t be surprised. This was another reason we were glad that we used Pull-Ups as a backup since no bathroom use for the majority of the day can be a bit nerve wracking on the parent. Potty training takes work and time, but it doesn’t have to prevent your family from going to Walt Disney World and having a good time! Follow these tips and your biggest worry will be if you have enough time to wait to ride Dumbo before the parade starts and not about how to clean up a potty mess. Want some more help planning your Walt Disney World vacation? Be sure to click on the graphic below and request your FREE Walt Disney World planning video! They’re a wonderful planning resource and watching it is a great way to get everyone excited about the trip! « Get Everything You Need At Meijer Including Birds Eye® Steamfresh Vegetables! Sticky notes are a genius idea! I don’t know why I hadn’t thought of that before. I usually try to find a way to drape toilet paper in the way, but this is a much better plan. Thank you! I wish I could remember who told me that trick, but I for the life of me I can’t remember. It really makes things easy, and they’re so small that they’re easy to carry around. 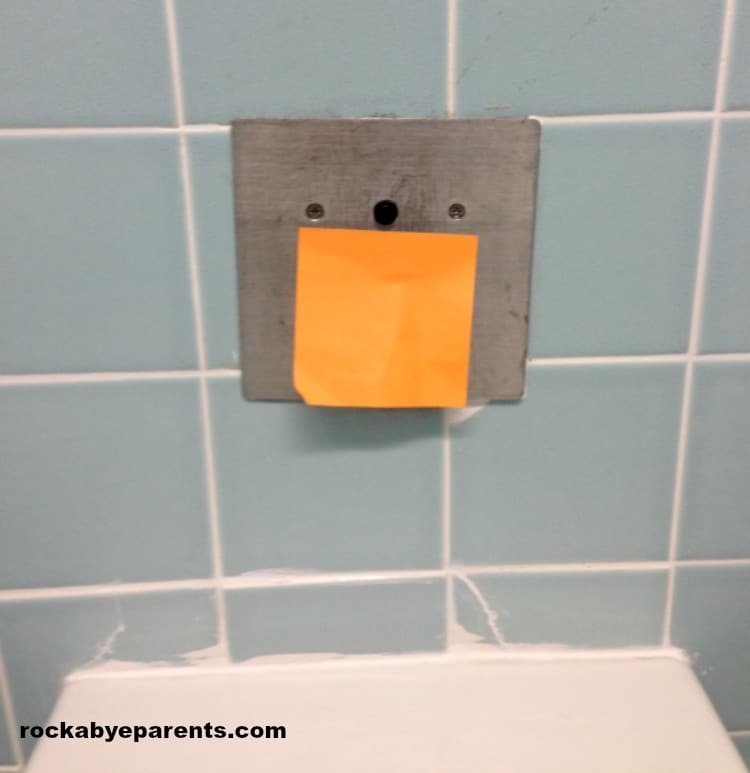 I love these tips, especially the tip about the sticky notes over the bathroom toilet sensors, i so hate them going off even before you get a chance to go, huge problem with the kiddos. Will be using this one a lot. 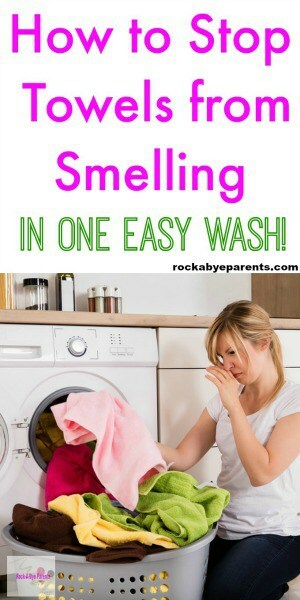 I’m so glad you found the tips useful Nicole! The sticky note trick is awesome! I wish I could remember who I learned it from.